Some of the key missions of Rockwood 2000 are to beautify public spaces in Rockwood that residents can enjoy, to show Rockwood as a city that cares about its appearance, and to promote Rockwood as a wonderful place to live. 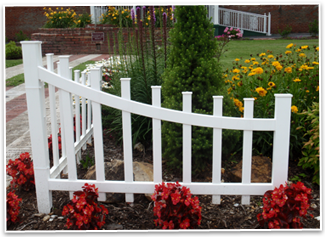 In 2004, several Rockwood 2000 members, including qualified Master Gardeners, developed and planted the area around the 1936 Patrol Station Museum. The following year, a line of evergreens was added along the southern edge of the parking lot to provide privacy for the nearby residents. 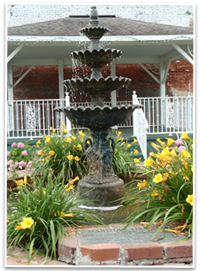 In 2006, Rockwood 2000 was asked to host a re-dedication of our historic Post Office and several members were asked to plant the grounds. This proved such a success that a Rockwood 2000 standing Beautification Committee was formed to continue this type of work on city-owned property throughout Rockwood. Community Center, Veteran’s Clinic, and Rockwood Dog Pound were planted. Also, five flowering trees were planted at City Hall to eventually provide shaded parking. Annuals were placed in the park for the first time and Phase II of the planting plan was implemented. 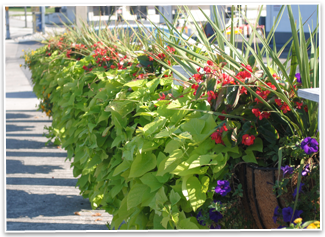 Rockwood 2000 purchased 15 hanging troughs, and plant material for the Rockwood Street bridge. Also, 12 additional verges were planted on Gateway Avenue. Rockwood 2000 purchases all plant material, mulch, chemicals to maintain plantings, and provides the labor (either paid or unpaid) that maintains all areas they have planted. Since 2006, Rockwood 2000 Beautification Committee has averaged 400 volunteer hours per year in planning, planting and maintenance on these projects. Other beautification efforts have included picking up trash and litter in Rockwood and working with employees of the city’s Public Works Department to prune trees and clean out overgrown areas. Volunteers are always welcome and any offers of help are greatly appreciated. If you can tell the difference between a plant and a weed, and enjoy being in a garden setting, we need you! For further information, please visit our contact page.